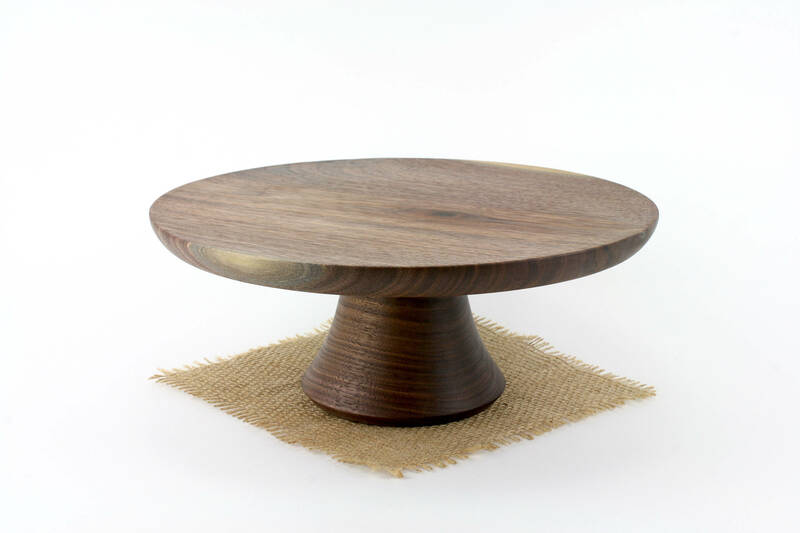 This listing is for one 11 1/2” black walnut cake stand. 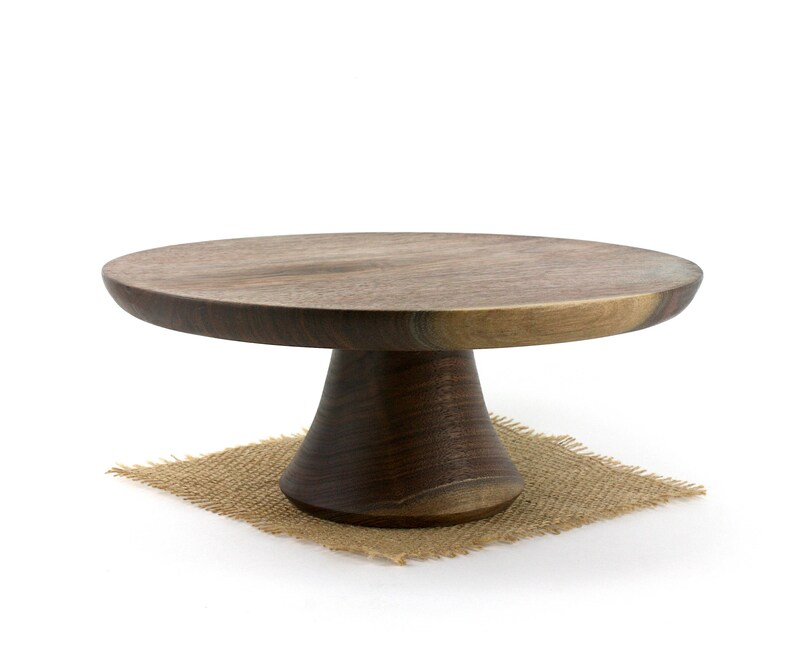 Our cake stands are made from solid hard woods, NO stain or paint is used, all wood is left in its natural form. 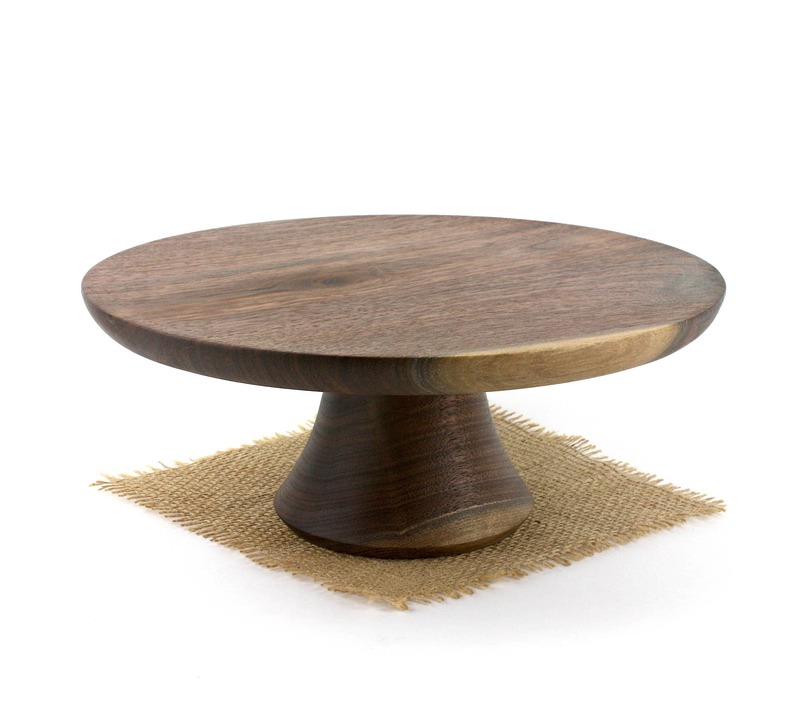 This unique and one-of-a-kind cake stand is special made to enhance any cake or dessert for generations to come. 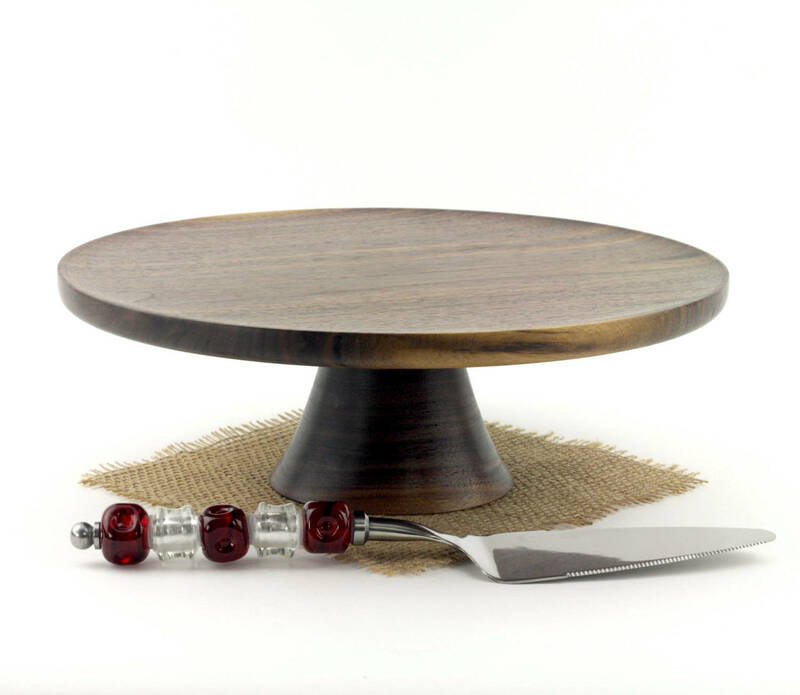 Would make a great gift for the foodie or baker in your life. Made entirely of salvage or down trees. No two are exactly the same, and any slight imperfections are an affect of the handmade quality. Beautiful piece and extraordinarily quick shipping!